It’s with great pleasure that I’d like to remind you that Spring 18 is here (at least on a Salesforce calendar) and, therefore, a host of wonderful innovations from Salesforce too. Our ‘AdvancedCommunities’ team hasn’t been wasting any time during the cold winter days and has prepared an overview for you of the top-three, new Community Cloud features. 1. Meet your customers’ needs with the Survey component. An unexpected and powerful new feature – support for Surveys and a new Community Survey component. We know that it will be either a paid-for feature or it will come free with Health Cloud. Your community members are a valuable part of your business. Now, you have the means to connect with them via Survey. It lets you create customised surveys to gather important data and to find out the opinions of your customers. You can embed the Survey Component into any Lightning Community template. When your community members log in, they will have the option to participate in your survey. This will enable you to gather valuable feedback directly from your customers, partners or employees. It works equally well on all devices, including mobile phones. 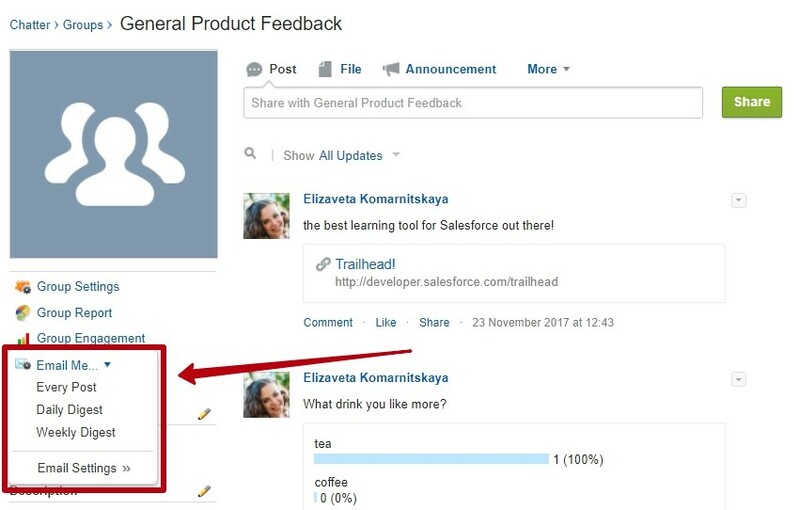 Note: To access the Survey component, enable Salesforce Surveys in your org. 2. Be aware of all Events with Community Calendars. Every day, we all have to keep in mind a lot of events, meetings, times and dates, and all too often we forget something. True? Now, you no longer need to remember what’s so special about today, then run at breakneck speed to avoid missing your vital appointment. Just use new Calendar Component in your Lightning Community to share your events with other users and to see their calendars on a community too. 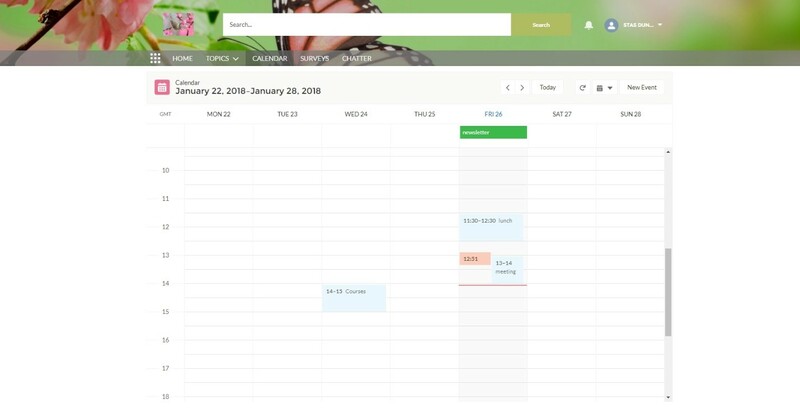 You can create as many calendars with different events as you want and easily switch between them. Set up your Calendar Component in a separate page or just in the sidebar, and you’ll always be aware of all your events. Note: If you have a Customer Community Plus and Partner Community licence, you can create Events right from the calendar. At this point of Spring 18, unfortunately, only Events can be created from Community Calendar. Other records are available for view only. 3. Create richer posts on Chatter. 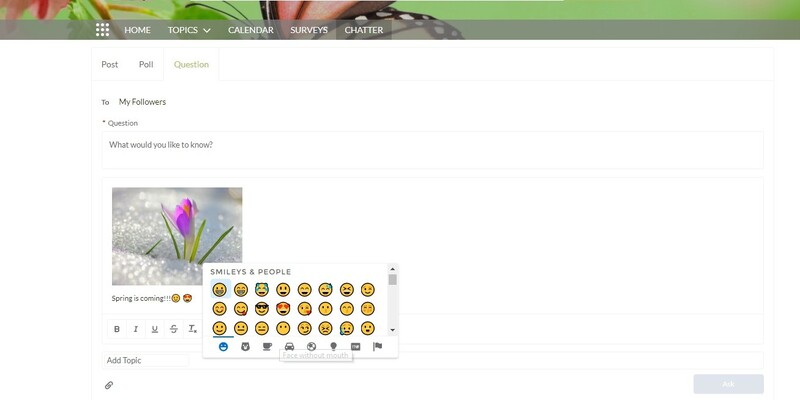 Are you ready for some cool, new features for Chatter from Spring 18? Finally, we’ve got more really great options for richer communication. The rich content editor has been revamped and now you can add awesome styles, pictures, links and emojis to your posts and questions. What’s more, if you’re a group member, you can now be kept fully up to date about any changes and news. To be notified about group mentions, you must select ‘Email me on every post’ under Groups in the email notifications settings. You can also choose to get a daily or weekly digest. (Pilot) You also have a better chance of responding quickly to the questions you’re most qualified to answer. Community questions are matched to your expertise, and the highest-ranking five are delivered to the top of your view of the Unanswered Questions component. Do you think these are the only surprises Salesforce has prepared for us this Spring 18??? Of course not! You can also build and brand your community faster with the new Theme panel, a redesign of the Branding Panel. Create a multilingual community easily, just from your Builder settings. External community users can deactivate their own accounts. 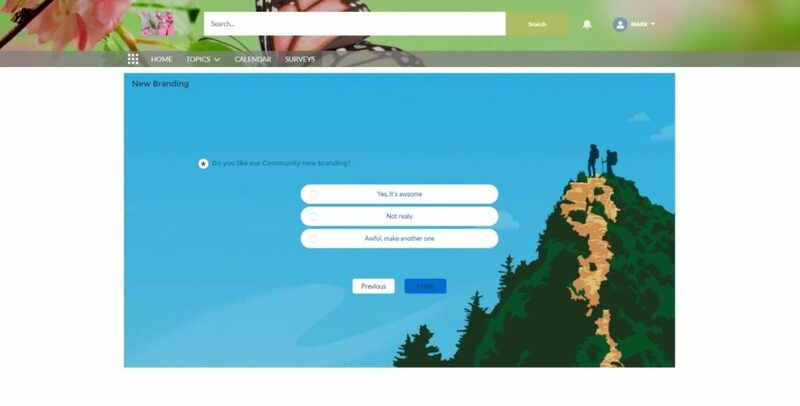 It is also possible to set different login policies for Salesforce and Community users. Interesting?? All these wonderful features are waiting for us this spring! !